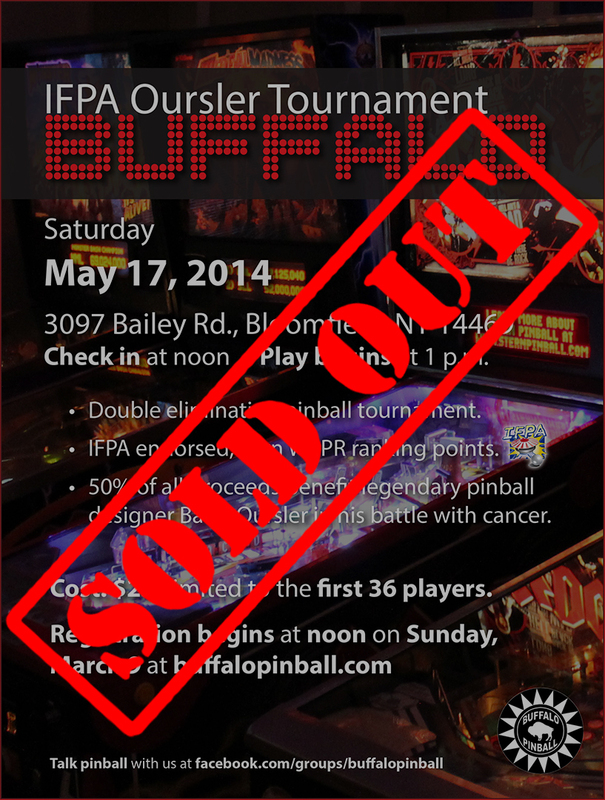 It’s official, the IFPA Oursler Tournament – Buffalo is SOLD OUT. We’ll see you there to raise money for a good cause. If you’d like to get on the the waitlist, email gusphan@msn.com – if players drop out of the tournament you’ll be notified that a position is available. This entry was posted in Tournaments on March 27, 2014 by k3v2.